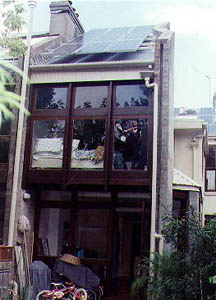 The Chippendale house is a renovation designed by Mike Mobbs, a Sydney environmental lawyer, and his lawyer wife Heather Armstrong for their inner suburban house in Sydney. process all of its wastewater, including sewage, on site. More information. This page was last modified 00:56, 19 October 2007.